A recent survey from American Express suggests that managing indirect spend is becoming more of a priority for the finance function. Brendan Walsh, senior vice-president commercial cards, Europe, discusses the report's findings and explains why visibility is key. Considering that indirect spend within Europe alone accounts for some €1.3tn, it is surprising that its monitoring and management has traditionally been seen as a secondary concern. However, finance functions are beginning to demand better visibility and controls as pressure grows to manage costs and drive enterprise-wide efficiencies. "There are two key drivers," says Brendan Walsh, senior vice-president commercial cards, Europe, American Express. "Post-financial crisis, focus on the bottom line has provided real impetus. The regulatory environment has also changed significantly and there's a heightened awareness of and desire for better governance, the cornerstone of which is strong controls." An increased appetite for addressing the challenge was one of the key findings of the 'European Indirect Spend Management Study 2011', published by American Express in April of this year in partnership with A. T. Kearney. With 162 large and mid-sized organisations from ten European countries and 30 industries participating, it provided the clearest insight yet into where corporates are on this journey and the major hurdles they face. "The good news was that 84% of respondents are really focusing on cost control and that a large proportion of companies have been expanding measures taken to control categories such as travel and entertainment into the domain of indirect expenses," Walsh reveals. "Most already had preferred supplier lists and negotiated rates in place. All of this represented positive news." However, the survey found a 34% non-compliance rate to preferred supplier lists and 36% failing to follow negotiated rates. Over 40% of organisations did not consider themselves to have good item level spend visibility and of those that did have high visibility, 33% did not trust their data accuracy. American Express saw the potential for €900m in savings among the study group alone. "What this really demonstrates is the scope of opportunity for those that pursue this journey," Walsh believes. "We did see companies that were already a long way along, but others are only just starting out and looking to get going quickly. The clear message is that it's all about compliance. That means maximising visibility, improving controls and driving efficiencies." These three themes form the crux of American Express's vision for better management of indirect spend, creating a virtuous cycle that encourages a focus on control both before and after the event, and enables ongoing savings. "In order to control something one must first fully understand what it is you're controlling," Walsh explains. "Step one is about ensuring end-to-end visibility and having complete faith in the quality of the data to hand. You need to get it at a granular level, see exactly how much is being spent on what and where." Despite extensive investment in ERP systems over recent years, the survey found that only one in three organisations were capturing requisite item level details on specifications and price. Getting to the required level, however, should not require another round of intensive IT spend. "Having a card programme in place and mandating its usage gives you that complete, granular view," Walsh believes. "It's then a question of integrating that information into the ERP system, eliminating paper and simplifying the process. There's some tech-interfacing involved, but it's very straightforward." With visibility achieved, one can then see where defects and behavioural failures lie, eliminate them and move onto implementing the right controls to ensure ongoing compliance with preferred supplier lists and contracted rates is managed over the short and longer-term. "One needs a good mix of 'before the event' and 'after the event' controls," Walsh explains. "One might assume that prevention is always better than cure, but excessive levels of the former can become burdensome, bureaucratic and become a turn off if applied to each and every transaction. "Once you are quite confident you're catching everything in a particular category, on the other hand, then the analysis and reporting that comes after the fact forms a very useful feedback loop which informs decisions in terms of supplier rates and so on. It comes down to striking the right balance." A shift in organisational focus has certainly helped finance functions realise the potential savings and efficiencies complete control of indirect spend can bring. There remains scope for considerable improvement in terms of management practices but, as American Express's findings clearly demonstrate, vision is the crucial first step of the journey. 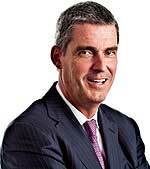 Brendan Walsh, senior vice-president commercial cards, Europe, American Express. Having a card programme in place and mandating its usage gives you that complete, granular view. Managing indirect spend is becoming more of a priority for the finance function.